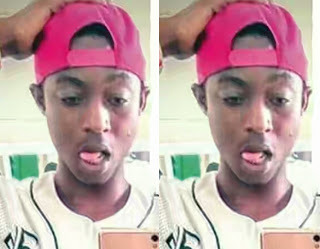 His cousin, Friday Ojah who had fled to avoid been killed, explained that the SARS officers took Joseph’s corpse and dumped it in the boot of the fraudster’s car, before driving away to the command headquarters in Ikeja, Lagos. A legal practitioner and friend of the victim’s family, Saheed Sanni, said the family had decided to petition the Inspector-General of Police on the case to demand justice for the victim. It was learnt that the suspected fraudster, Badoo, who the officers were allegedly chasing on the day of the incident, had reported at the command headquarters. A source said the suspect had been detained. The victim’s father, Patrick Eidonojie-Ugbeni, demanded justice for the son.